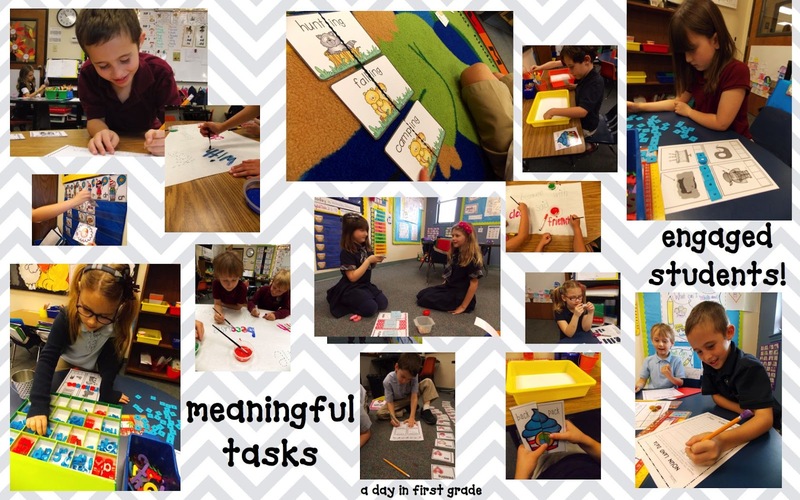 You are in your classroom and students are all working quietly on meaningful tasks. They are working with one another and you are meeting with a small guided reading group. You don’t have to stop to redirect students. You don’t have to shut down something because students are bickering. You are not interrupted every two minutes. Because your students are using Literacy Work Centers or Stations. How did this magic happen? Well, it’s not really magic at all! It’s that you set your students up for success! You might be asking, but how?! How do I do this?! I’ve heard about it and maybe even tried it, but it didn’t work! I hope to share with you some insights on how you too can have this in your classroom. First, set you and your students up for success. 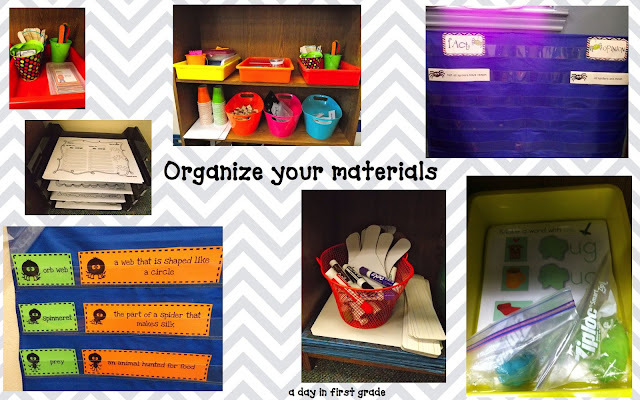 Organize your materials and teach your students where everything goes. Practice cleaning up. Show them exactly how you want it to look. Next, model everything that you want. 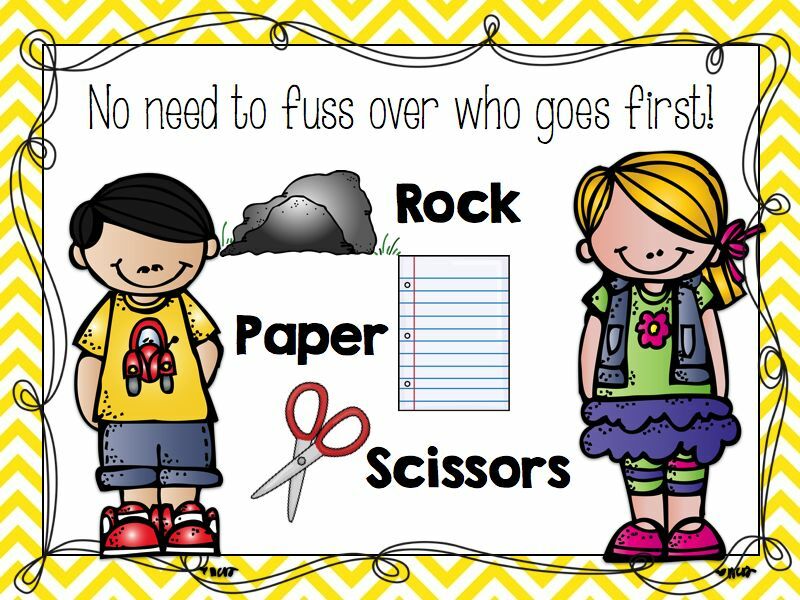 Don’t assume that students will know how to use your pocket charts or magnetic centers. 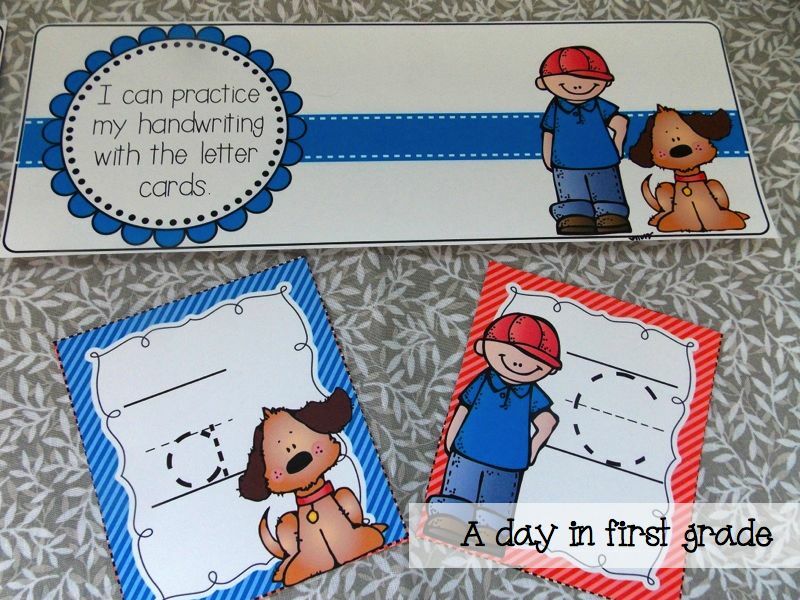 Provide them with visual cues and helpers at your centers. 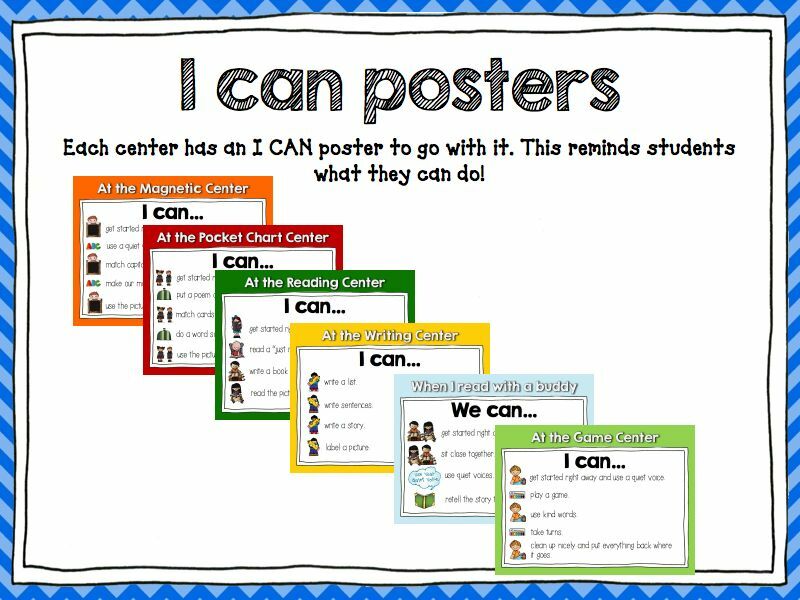 In my classroom I use “I can” posters. When I am introducing a center I tell and show my students exactly what I expect. We practice how we will use our materials. We practice how we will talk to our friends. We even work through problems that might arise. This ensures that students will know just what to do! I also have my students model INCORRECT behaviors. I choose an “active” 😉 student and I let them do something wrong. Then, I stop them and have them model how to correctly use the center. Students then help me identify the incorrect behaviors and then the correct behaviors. 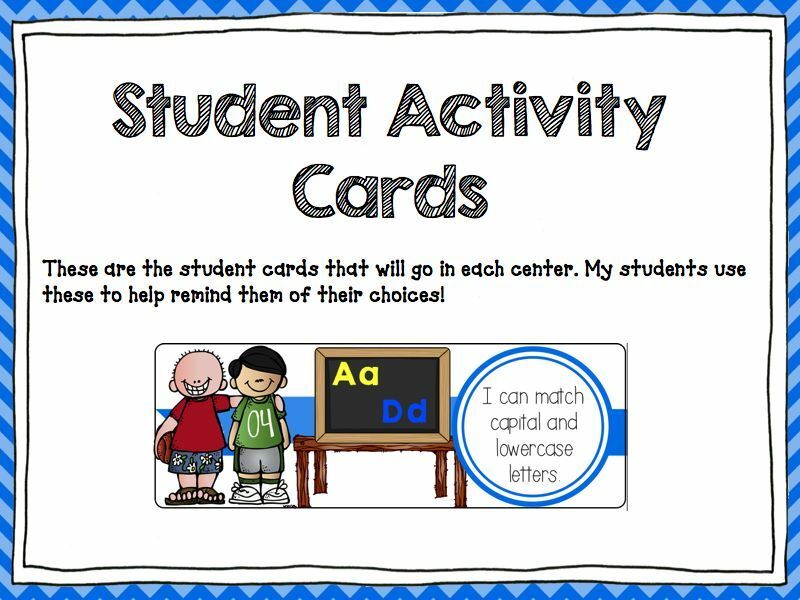 This helps everyone see what is not expected and it also shows the “active student” that he or she can be successful at center time. 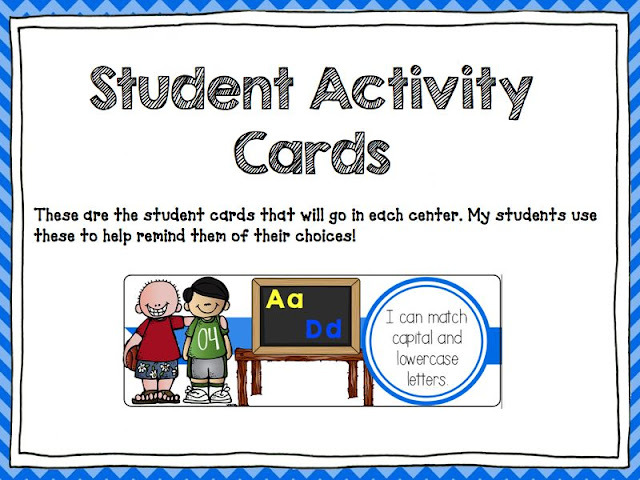 I also use student task cards to help remind students what is expected. Each center that I have has multiple tasks associated with it. 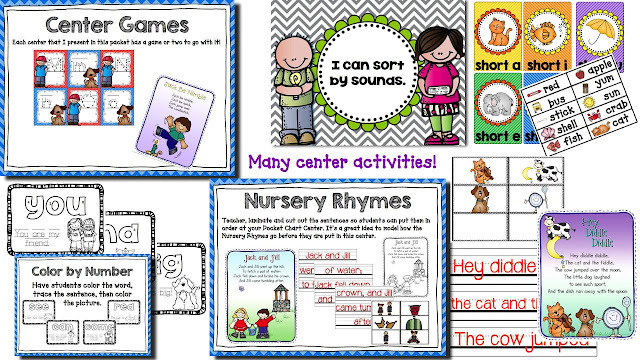 Students can refer to these during their center or station time. 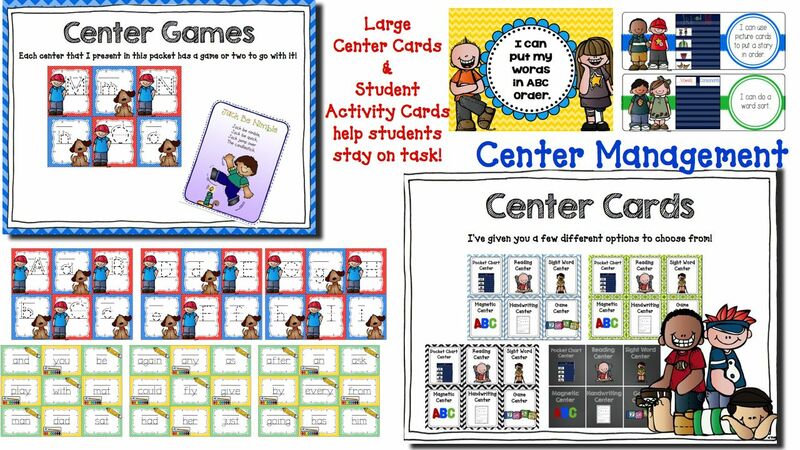 It also helps answer the question, “I’m done, now what do I do?” I keep multiple task cards at each center so students have a choice with what they can do. Each center also has a “must do” task. These tasks have to be completed first and then students get to choose. Another way to set your students up for success is by displaying posters of expected behaviors. Here are some that I use. So what centers do I use and why? I use these centers because they are easy to modify and differentiate. Students enjoy these centers. They are engaging and meaningful. 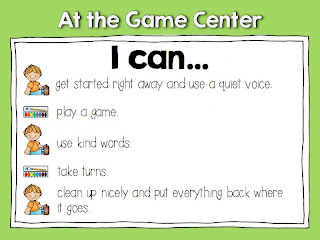 These centers allow students to practice what you have been teaching and it provides them with independent practice. In the above picture you can see students working at each type of center. As the year progresses you don’t have to recreate the wheel and come up with new centers, all you have to do is change the activities. In the pocket chart center you could start your year with having students match capital and lowercase letters; however, as the year progresses you can have students practice blends, diphthongs, contractions, fact and opinion sorts, types of sentences, parts of speech, etc. The possibilities are endless and students already know how to use the centers! 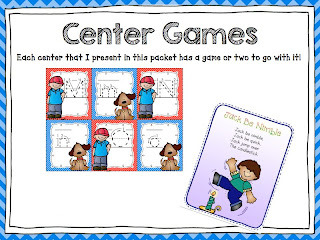 I have created a new pack to help you start your year with centers. 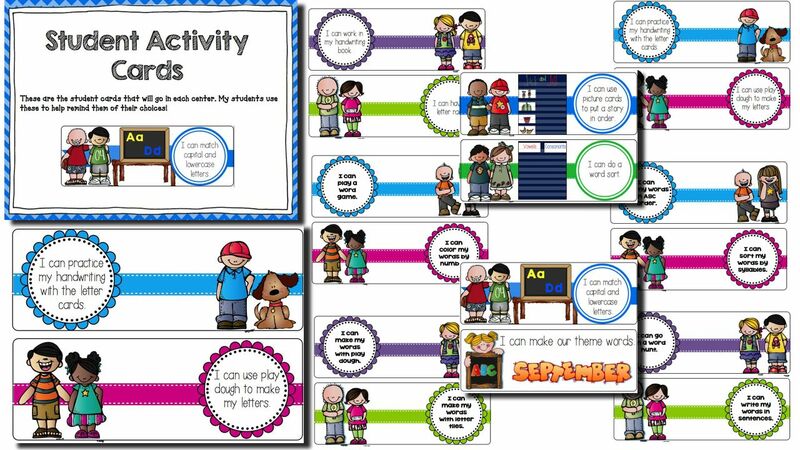 In includes all of these posters, activity cards, and centers to help you be successful in your classroom. The pack includes MULTIPLE activities for each center and it also goes even more into depth as to how I run my centers and the management of my center time. Centers or Stations have allowed me to have multiple guided reading groups, small groups and 1-1 time with my students. It also is a time that students look forward to. This packet is on sale here! It normally is $15.00 but it is only $12.00 for a limited time!! Congratulations Karen Rowland!! You will be receiving this packet for free!! 🙂 Thank you everyone for your super sweet comments. I loved reading all of them. If you want to read more on this topic, may I suggest the book “Literacy Work Stations” by Debbie Diller! Oh please, Oh please! This is so AWESOME! I love everything in this pack. You are so creative. Wish I were. As a brand new first grade teacher, this would be fantastic to use in my new classroom!! I am so glad that I found your blog. Thank you! One question – Do your students choose which center they go to? Do they rotate to each center every day? I am just trying to visualize how I will implement this. Thank you! Starla- I use a center rotation where I choose where students go. I explain it in the packet and provide cards for a pocket chart or a bulletin board. If you go to my TpT store and click on the preview of the packet you can see it a little closer! Those I Can statements look like they came out of a catalog! Love them! I love your description of showing and telling! At the beginning of the year I’m always anxious to get going and forget the importance of doing things right! Sets the tone for the rest of the year! These look great. I usually have only one student at a center at a time to keep the noise level down. I love Debbie Dollars books. My new email is bartramsbuccaneers@yahoo.com. Wow this is incredible. I would loveeeeee this!!!!! This looks awesome! 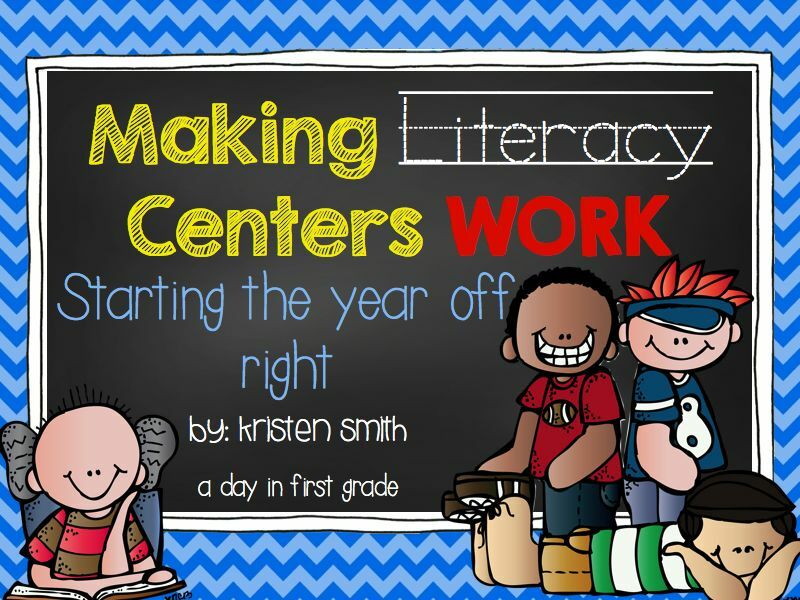 I did not successfully use centers in my classroom last year and looking to revamp and make things work better this year. I would love this set to help me achieve that goal. I love this and have my fingers and toes crossed! this looks great, I hate to always have to redirect, it takes time away from my group. This looks wonderful! Centers are great for kids! I LOVE this packet! I especially love the “I Can” charts. Anything that makes them more independent and able to handle a task without interrupting the teacher is wonderful! WOW! This is a great packet. You’ve included everything to make centers successful! Thanks so much. 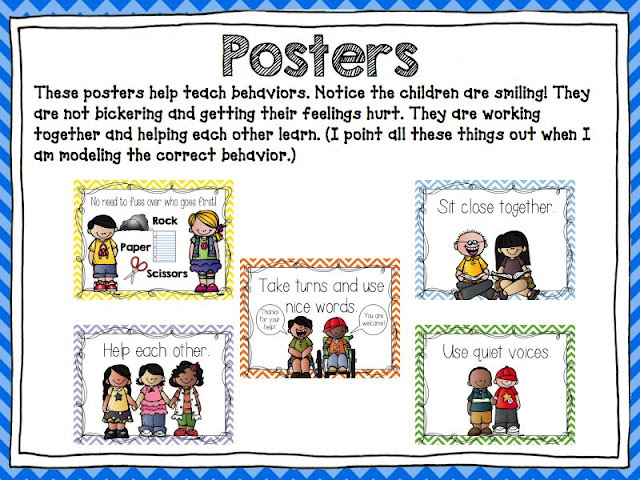 I love your ‘I Can’ posters and the proper behavior posters…very important! I need to do a better job with centers…hopefully I win this so I can start off on the right foot! This would be wonderful as literacy is not my strength and I am going back to teaching all subject after being a support teacher and then teaching math, science, social studies. I LOVE those I can statements, it is great to have a visual! Thanks for the fun chance to win this incredible resource! Love this packet. The I Can statements are great. Would love to win this. This is amazing! Everything I need! I would love to win it! I love everything this pack has I also love how organized this will keep everyone! Your packet looks amazing. I am trying to find a way to make centers run smoothly and your packet is just what I’m looking for. Unreal – this will be my first year using centers because I will have a self contained classroom. This would help beyond belief. It would give me a great start and a feeling of success. Thanks for all of your hard work!!!! Thanks for the great inspiration! Love the organization! This looks amazing! This could help me for the upcoming school year. This is an awesome way to set up centers, one of the best I have ever seen! Thank you for sharing! This looks like an awesome packet! I love the “I can” charts and the examples that you provide so that the students know what is expected of them. I would love to win this pack! What a great packet! You have obviously put a ton of time into it! I am still learning the best stations for my students and would love the opportunity to get this bundle~thanks for the chance and all of your hard work! 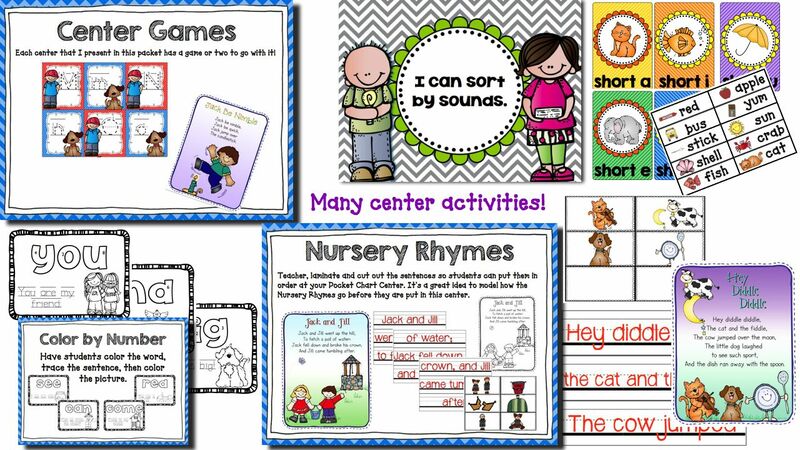 I am always looking for different activities for my literacy centers! Thanks for sharing your ideas with us! My students would benefit from the activities in this packet! I would love love love to win this amazing packet!!! Your centers look amazing! I teach first grade and would love, LOVE, LOVE this packet. 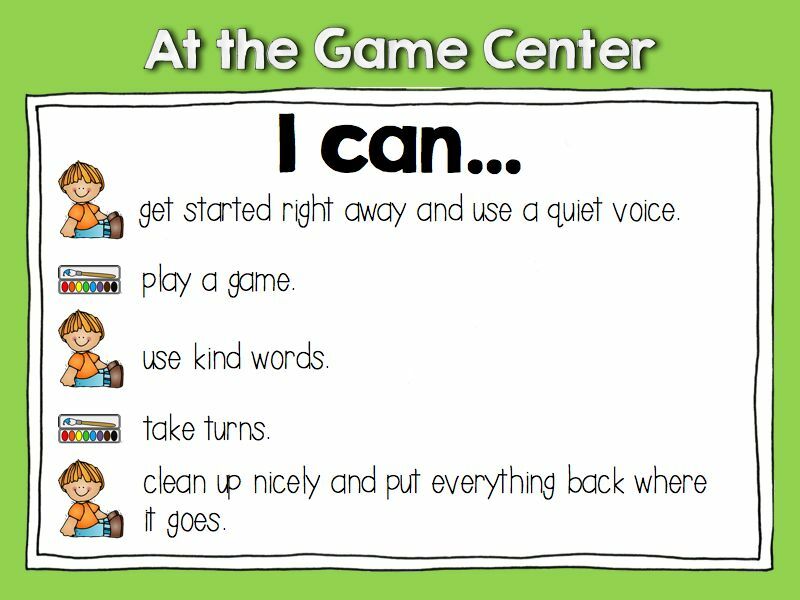 I love the “I can” statements for the centers! I like how you set up your centers. Oh my! This is a wonderful packet! Holy moly! I love love love these! This would be a perfect addition to my daily rounds with my students. This is a wonderful packet! I am in desperate need of something like this to help me teach my students how to do centers! What a great giveaway! Thank you very much! This is a wonderful literacy center packet. Congratulations on a job well done. I would love to win it for my first grade class. This is what I’ve been looking for!! I am a beginning teacher and my centers were a challenge for me this year. I had issues with “I’m done, now what? !” and issues with independence. This looks like it could be my answer!! I enjoyed your simplified explanation of your literacy centers. Sometimes I have to remind myself to keep things simple in the classroom. I look forward to hearing what other types of lit center activities you implement throughout the school year. Thanks for sharing! How awesome! I’m a first year teacher and this information is so useful! I look forward to putting you advice into use! I would love to have this great resource! this looks really good! i have read the literacy work station book and use a lot out of it. i like what you have done..love the task cards and the I can charts! i wold love to win this for my first grade class! What an amazing resource!! I love all the organizational ideas! Live Love Laugh and Teach! I would love to win this!! It would really help me get my centers going right this year! Love them. I’m still trying to figure out how to make Literacy Stations work. Your product looks awesome. I would love to win this packet! I always have a hard time getting the students to stop interrupting while I am doing groups. Hope I win so I can see how you deal with this. Wow! I love the I can posters for the stations. I think those would be helpful to little ones. I love all the pictures and how you share how you set it up. I would love to win this packet so that I organize my cemters better so that my students benefit from them. Your center pack looks great!! Some years my centers work well and some years they don’t work at all. It looks like you have a great plan!! Wow, what a great pack. I would love to start this with my kiddos next year. Last year was my first year in 1st grade and this year I want to start the year off with a bang. This pack would put in the right direction! Great share! This would be a big help. It’ll be my first year in first grade! This is a great pack! I would love to use it in my classrroom! I really love the task cards you place in each center. I have done centers (successfully) now for about 10 years. I always love to try new things and would love to have your task cards. Thanks for the opportunity to win! I would love to win this! Looks amazing! Thank you for all you do! This looks amazing! 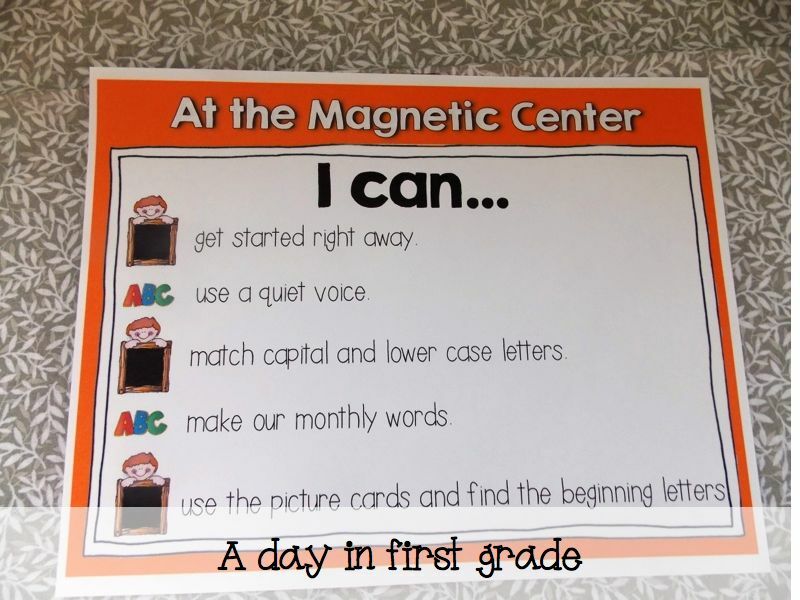 I think this would be so helpful in making sure my literacy centers were set up/organized well. I’ve been a little haphazard the last couple years and really need to sit down and plan them out better. Thank you for putting this packet together! I love this post! I just finished reading this book last week. It is such a great resource to have on hand. This pack looks like it includes everything you will need to implement literacy stations. I love Debbie Diller’s Literacy Work Stations. I have read it multiple times. Your pack sure will make implementing stations easier! Great post! Your packet looks awesome! These are wonderful tips for a future teacher that is feeling overwhelmed about everything!! Very informative post! Would love to win your packet! Setting up better small group sessions is my focus for the summer. This will be a huge support. Thanks! 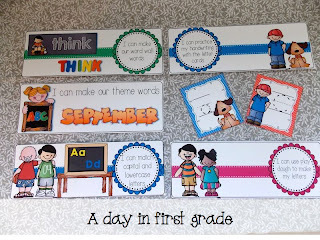 These would be great for my K/1 class next year! I hope I win! I would love to use these in my 1st grade classroom! I love this pack. I had the worst time this past year organizing my literacy centers. It was also my first year of teaching. I made it through, but next year I really need to change some things and Literacy/math centers are one of the top things. I bought the book literacy work stations recently. Thank you for creating such great things for us. These look like some great centers!Some are close to what I use, but most are more creative. Thanks! This would be perfect for my new position in 1st grade!!!! 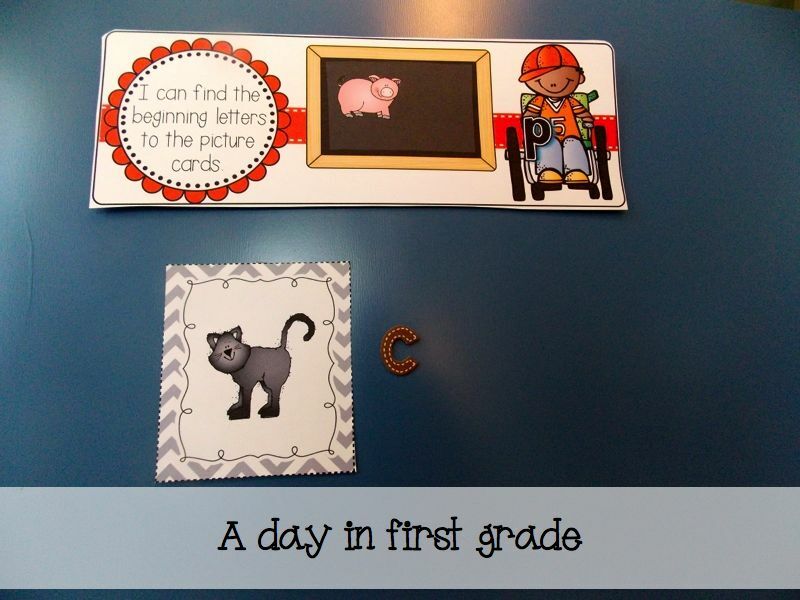 Your follow your own best practice and modeled the instruction with words and pictures. I would love to win this amazing packet to use in my 2nd grade inclusion classroom. I would love to win this packet. Your work is beautiful. I love the oraganization on this unit! The task cards are perfect to keep the kids engaged. It makes the student expectations very clear and keeps them accountable for their learning. I also love the I Can posters! Thanks for sharing! Hope I’m a winner! I love Debbie Diller! This pack includes it all. Love the I can posters. Okay, I am 100th away from being the first to comment, but am finally catching up on some blogging today:) I used to be lucky with your giveaways, so here’s hoping! 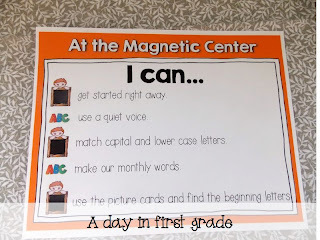 I used Daily 5 last year, and LOVED it, so I’m gonna stick with that system this year, but I think these literacy centers can easily transfer to Daily 5 practices. What a cool packet! I’m a first yeat teacher (starting in August). This post is great at explaining centers (that is something you don’t learn in college). I will be teaching special education and the visual instructions would work great. This packet is incredible! I always have trouble with students “forgetting” what they should be doing in a center. This packet will definitely be a great help! Thank you so much for the chance to win!!! Kristen, love, love , love this!!! Thank you for making this kit! Love your organization. Love your clear description of the process. Love this unit. Although I teach 2nd grade, I did not have success with centers last year. Thanks to you, I am going to try again! Thank you for sharing this. I have been in 1st grade for 3 years and I just CANT figure out how to make centers work. I have tried many things and they always fail. I don’t know where I am going wrong. Hopefully if I win this packet (or beg for funds to buy it) I can finally do guided reading with my students. I know they have been deprived. OMG! what a post! Makes me wish school started tomorrow! Very excited for a 1/2 combo class. Thanks for posting! These are inspiring! What a great post! The “I Can” posters are great. I want to use centers more this year. I have read Debbie Diller’s book before but I need to review. I love your posters. This would be great to win! Looks like a wonderful packet. I’m very impressed. PICK ME ! Pick me …. I am so excited for you. I AM YOUR 1,000 follower! I am so glad to have found you! YAHHH YOU – Congrats :)!!!!! Great Blog!! Great post. I love Deb Diller’s resources. How can I purchase this pack? Kristen I just purchased this packet and I am very excited to use it. I do have a few questions though. How many students work together in a center at a time? I have 20 students in my class. Also how do you pair/group those students working at centers? Do you put more independent students together so they can do a more challenging task or do you pair them more high and low so the more independent can help the student who needs more support? Thanks so much! I love your blog and really love it when I am notified that a new post has been posted! I was wondering how you organize your students in their centers. Do you allow them a certain number of centers to choose from in a day or is it first come first serve? I teach K and starting my second year. I used to allow the students to pick what they wanted and they filled up their “contract” so they knew which center they had done. I want to scale down on the number of choices (from an average of 9-12 that changed weekly) and have a science, math, reading, writing, sensory, phonics, and art center…. Any advice you can give me would be terrific! Kristen, I have never been able to do centers at my school and this year I am. I would love to implement some of your ideas into my classroom. I would like to buy your packet that you have for $12, but I am unsure how. Can you please help me out? Thank you so much for giving me the link. I am buying right now!